Republicans may find it scary, but what could be more American than a pumpkin carved with the image of your favorite presidential candidate? 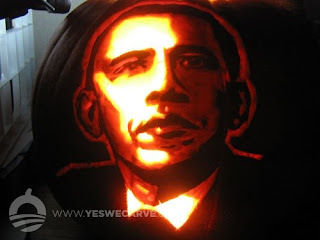 YesWeCarve.com presents photos of pumpkins featuring the likeness or logo of Barack Obama. Many show similar artistic skill, while others are charming in their amateur enthusiasm.